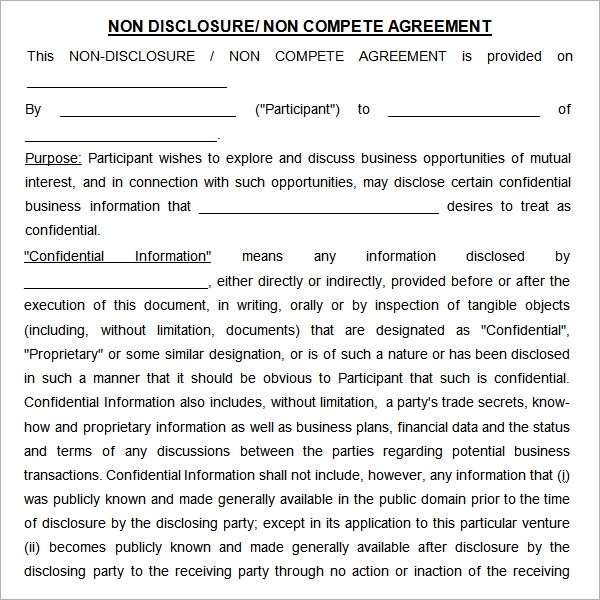 A non-compete agreement can be essential in ensuring that your ideas and assets do not get leaked to the competition. 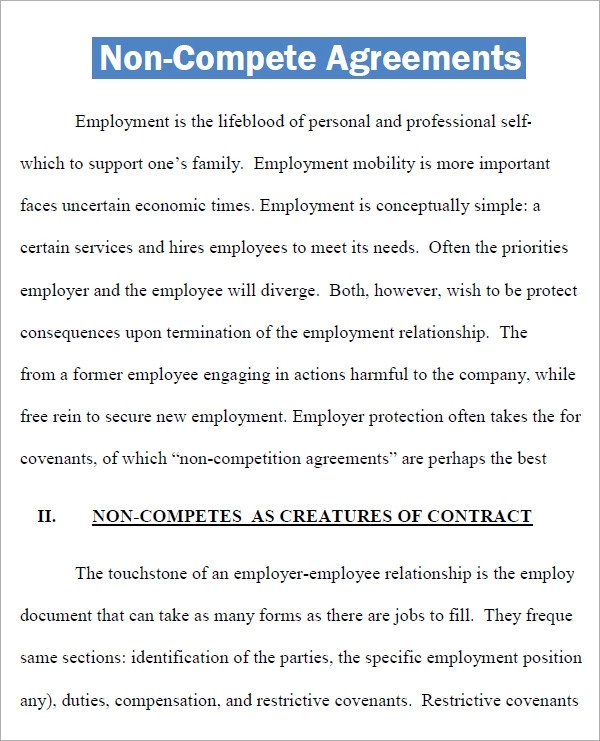 A non-compete agreement will contractually bound an employee to not work against their employer or in a competing company in the future, even if their relationship is terminated. This can be equally applicable to business partners, consultants or independent contractors, or any co-operative party. They can help keep your any insider knowledge of your company from being used against, in return for benefits such as imbursement fees. 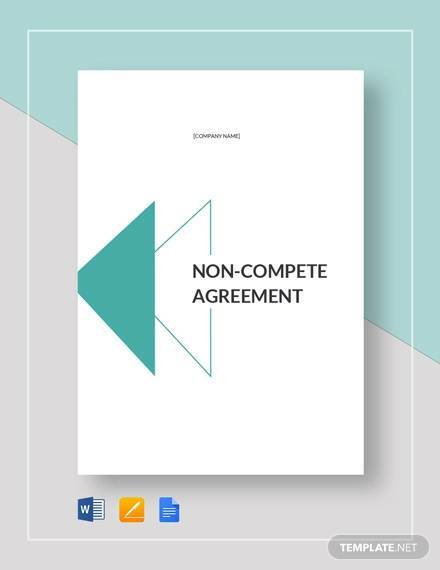 Drafting a non-compete agreement can be tricky and may require legal expertise, but with the use of free or premium non-compete agreement templates available on the internet which can be downloaded and printed, this can become a lot easier. 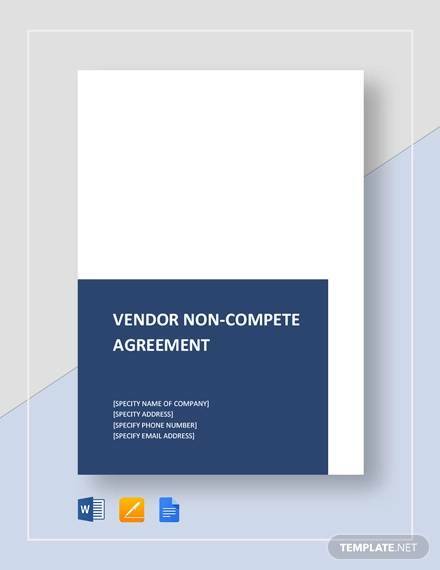 Most of these templates are written in a professional manner by top legal experts, and can be used to enforce a wide range of terms of contract. They make such agreements very easy to draft by providing fields which simply need to be filled in. They can be used in Word¸ Excel, or similar software and are highly customizable to suit the specific requirements for your company and employees. 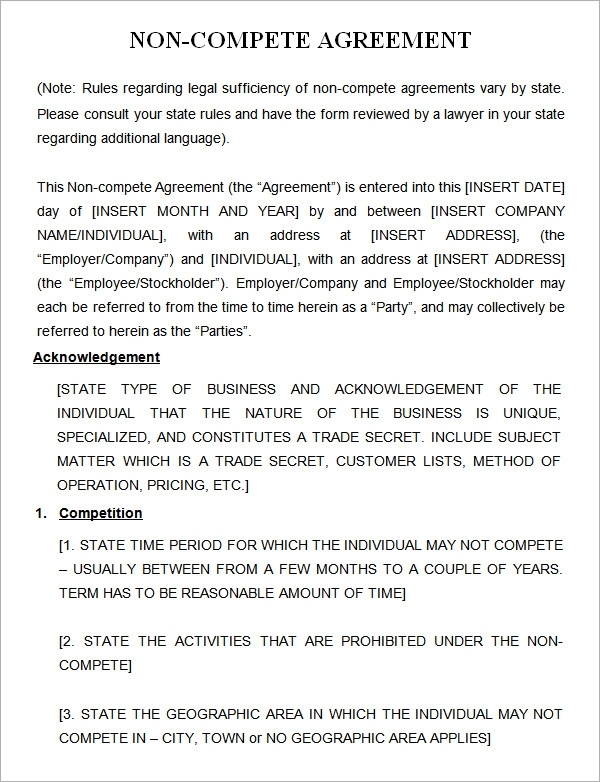 * These templates can allow you to determine every feature of the agreement from geographical location to length and nature of obligation. * You can also download and utilise Free Sample Business Templates to have a basis for your own agreements. 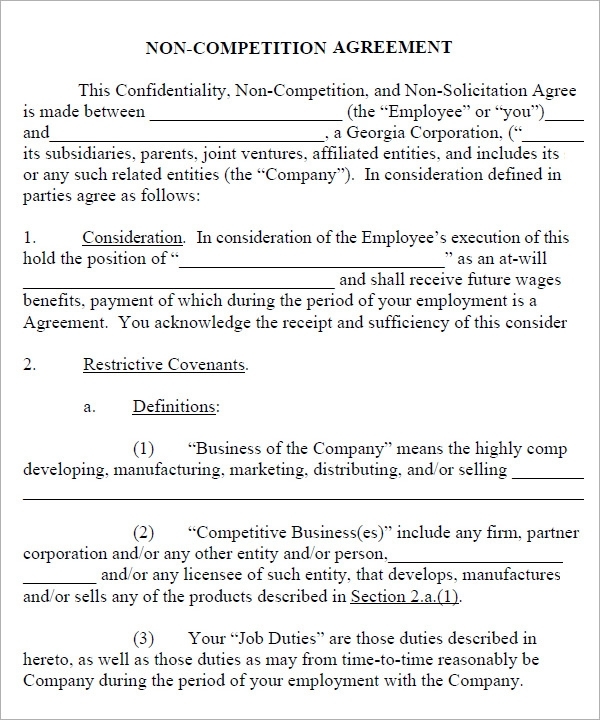 * You can create and customize fields for compensation and additional terms, if any, and legally binding signatures whether it is an online form or a printed one. 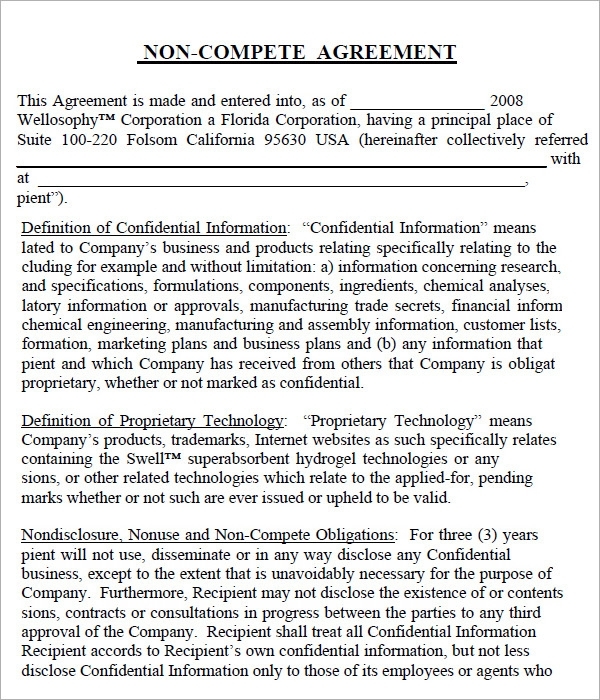 * A non-compete agreement is essential to stop assets of your company from being leaked to the competition. 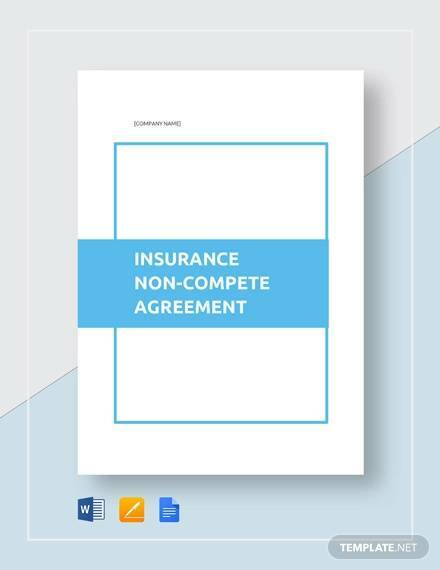 With the use of non-compete templates created by and in consultation with legal experts, drafting such agreements becomes much easier. These printable templates are highly versatile and customisable, and can be downloaded free or with money.